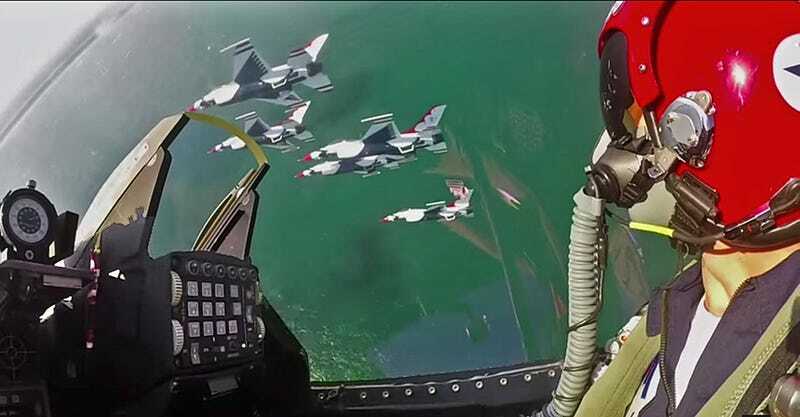 Ride right inside the cockpit with Thunderbird #5, the lead solo, and see the incredible visuals they see out of their F-16C's bubble canopy. With the use of multiple in-cockpit angles from multiple locations during the a Thunderbirds season, and showing a wide variety of formations and tasks, this is quite possibly the most awe inspiring Thunderbirds video of all time. Thank you to "DaChief" for sending this over.